As a baby boomer, the 1950s and 1960s are a time of fond memories of childhood and adolescence. The cars of that era are part of those memories. As the years passed, I found myself at semi-retirement with time to pursue a lifetime love of the cars I grew up with. My dad had always owned GM cars and most were Chevys. I pretty much followed in his footsteps having owned at one time or another each of the GM brands. Although most of GM’s cars appealed to me, the Chevys were always special. Chevy represented cool. They were stylish, they performed and they were affordable. Many discussions with my high school buddies centered around the merits of Ford versus Chevy. I always felt like I was arguing with an advantage. It was a heady time for GM and they were riding high. There was even talk of breaking up the company and possibly making Chevrolet a separate car company. Each model year introduction brought excitement. The sleek ’57s and the bat wing ’59s. The Corvair in 1960, the ’62 Chevy II and the Chevelle in 1964. 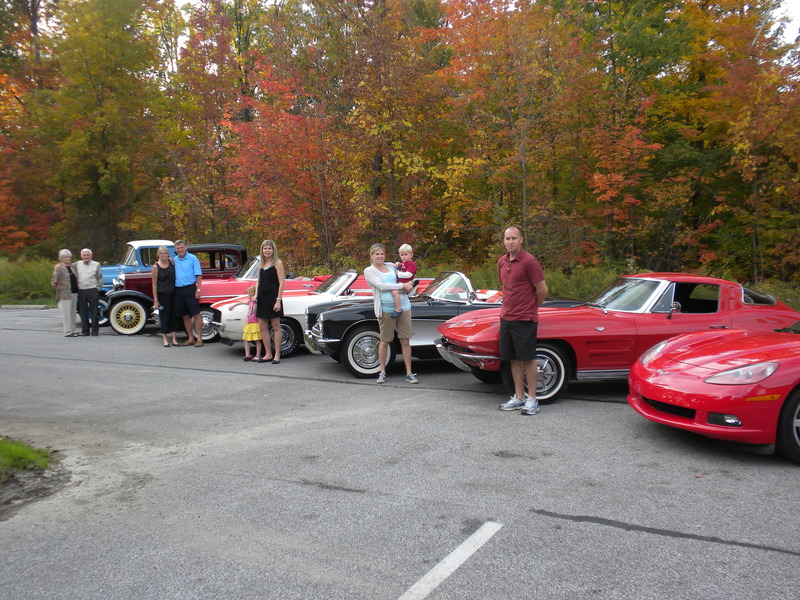 And the Corvettes including the later C-1s and the ’63 Sting Rays. The Impala Super Sports and the Camaro in 1967. Finally we had a car to go toe to toe with the Mustang. Fall introduction of new models was a time of great anticipation. Sneaking around the back lot of the local Chevy dealer in early September each year to get an early glimpse was a rite of autumn. One specially memorable moment was a clandestine look at a ’65 Impala Super Sport. It was unbelievably sleek compared to the model it replaced. Although big modifications were not unusual from year to year, I was surprised how many changes they had made to the car. I learned to drive on my dad’s brand new ’64 Chevelle Malibu. It was a palomar red, four door with an optional “big six” and three speed on the column. 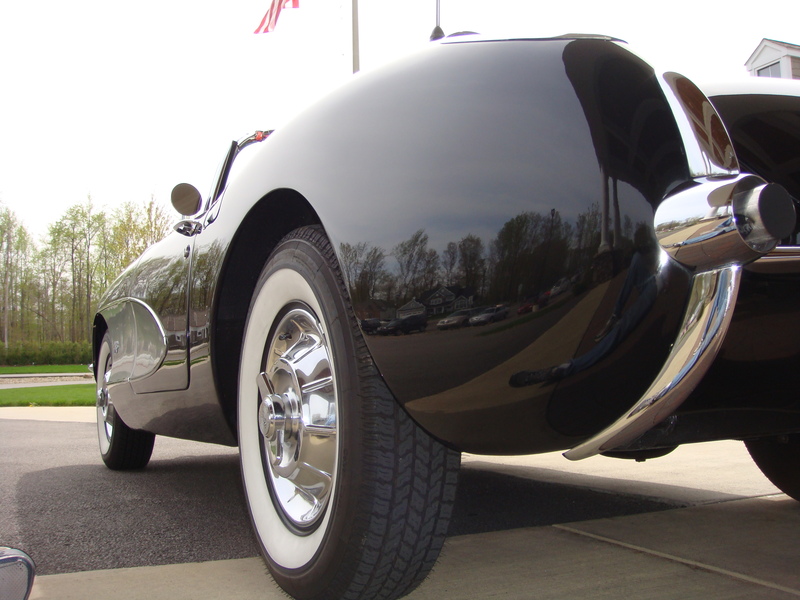 The optional six was clearly identified by its gleaming chrome valve cover. As I look back, I have to admire my dad for letting me drive the car as much as he did. I bought my first new car while I was in college. It was matador red 1968 Camaro RS coupe with a black vinyl roof. The car was powered by the standard 327-210 HP v8 and had the standard three speed transmission with a floor shifter . It was a great looking car. So much so that it helped me attract the young lady who would later become my wife of forty years and counting. 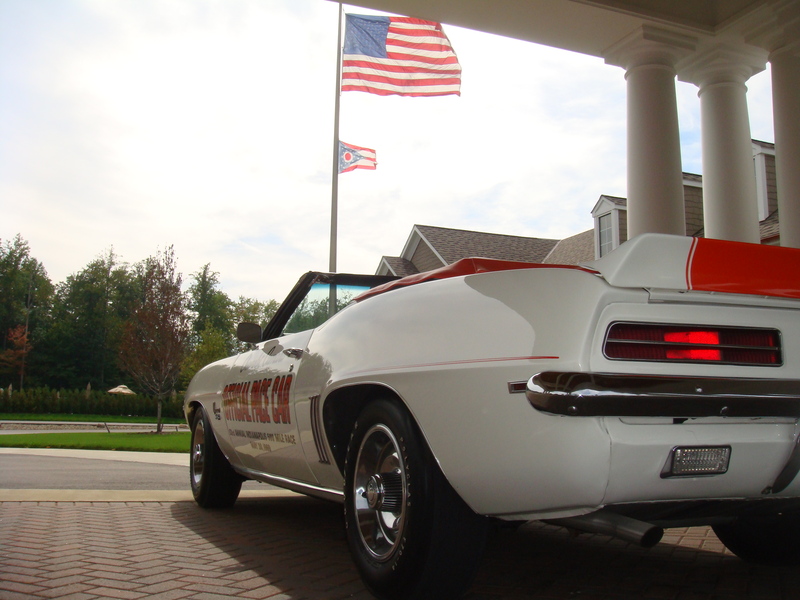 There would be more Camaros to follow including convertibles, Z28s and an IROC. Our loyalty to the F body transcended Camaros as we even owned a new Firebird in the early ’80s. With two children, sportiness was eventually tempered with a dose of reality that included a Monte Carlo, a Cutlass Supreme, an Impala, a couple of Buick Rivieras, an Olds 98 Touring Sedan, a Cadillac STS, and a couple of CTSs. My wife’s GM loyalty was not as strong as mine as she strayed off the reservation for a number of luxury Japanese brands. I must admit, however, that staying with GM in the late ’80s and early ’90s was a bit of a challenge, although things are looking up lately. This site is so cool! I’m just wondering where the picture is of the yellow Corvette?! The yellow Corvette is grandpa’s gift to the grand kids. Hopefully it will spur a new generation of car lovers! Great to meet you today and talk classic Chevys!!! Look forward to seeing more progress on the RS. Thanks, Mike. I’m getting to the fun stage now. Thanks for taking a look, Rick. If you check out the video Seven Cars in a Two Car Garage, you’ll get a feel for how they fit in the garage. I just came back from taking a look at some of the cars that are stopping here on the island on tour from last weekend’s Amelia Island show. WOW, million dollar plus cars. My little Chevys would fit in the trunks of some of those Duesies and Rolls Royce’s. What craftsmanship. That’s me on page 3….what was I thinking?!?!?! I have visited your garage, I’m amazed! I like your GTO. Something a little different for you. Have you had to do anything to it? Steve, good to here from you. It’s a Texas car, so it’s real solid. I’ve been cleaning and painting the underside, and want to have the paint stripped and repainted the original Palladium Silver color. The paint is cracked from the Texas heat, so it needs painting anyhow. I’ll wait till after Labor Day so I can enjoy the car for the rest of the summer. Silver is pretty rare for Judges, so it should be kind of neat. Are you working on anything interesting? I saw a really well restored VW bus at a show a couple weeks ago. Are you still doing VW’s? Do you still have the Mustang? Stay in touch. Phil, I do still have my vw and the mustang. I am in the process of restoring a 1952 ford F1 pickup. My son and I west to eastern PA to pick it up last summer. It is a big project but I am in no hurry. the drivetrain and frame are in great shape. I have finished the bodywork on the cab. I bought a new bed and fenders. Hopefully this spring I will get back to making some progress. I like the flat head V8. I intend to keep it pretty original. I will put disc brakes on it. Maybe dual exhaust and little wider tires but that would be it. Hope your family is doing well. Do you spend much time at CT? Phil, that Olds is pretty sharp. I will follow your progress this winter. I just bought a 72 mustang from original owner in Wooster, Ohio. It is all original with 24,000 miles. I could not pass this up. I can’t buy anything else since my barn is now full. Steve, always great to hear from you! The Mustang sounds like a real find. Low mileage, original owner cars are something special. Believe me, I know about running out of room, so I sympathize with you. Sometimes not having room may be a blessing, though. Who knows when I would stop if not for space constraints. The W30 should be a lot of fun to work on over the winter. When you get a chance, send descriptions and photos of your cars. I’d love to see them.